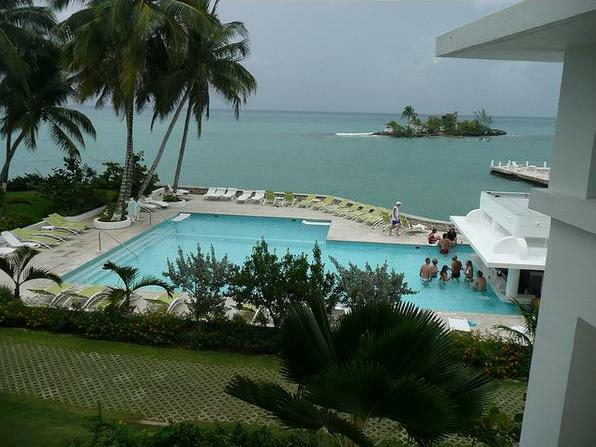 Ocho Rios Jamaica is a beautiful town located on the north coast of the island. Actually "Ocho Rios", when translated from Spanish means "Eight Rivers". Although Ocho Rios means eight rivers, it is in fact the stunning falls along and the flora and fauna that catches your attention. 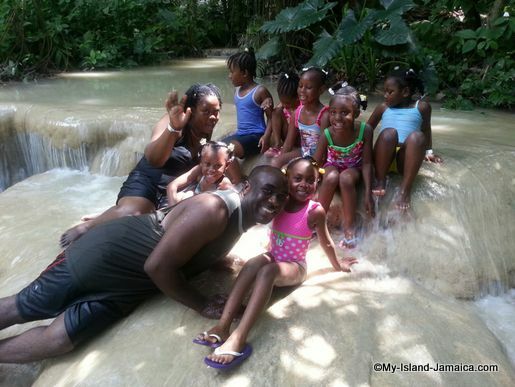 A large part of Ochie's fame came because of the world famous Dunn's River Falls. Over the past twenty years, "Ochi" (as it is affectionately called) has evolved from a small fishing village to a now world famous tourist destination. 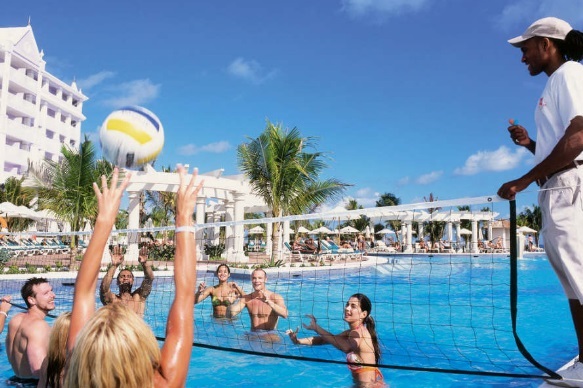 Along with Montego Bay and Negril, it completes the list of the most popular tourist destinations in Jamaica. A unique attraction near Ocho Rios is the Fern Gully, which is a rocky gorge of great depth. Fern Gully weaves for about four miles from Ocho Rios all the way up into the mountainous section of the island. There you'll find over 500 species of tropical fern and foliage that are only found in tropical rain forests. Although now a world renowned visitor destination, the culture in Ocho Rios still remains, despite the increase in the number of beaches, more hotels, restaurants and shopping areas. 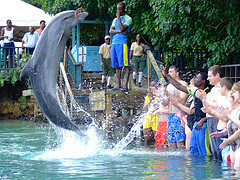 Among the many things to do in Ocho Rios includes the Chukka adventure tours, Safari Tours, and the exciting Dolphin Cove attraction. Chukka Cove is an animal farm where you can ride horses, no matter what your experience level. The beach ride takes you to a dairy and cattle farm to the beach through the waves. 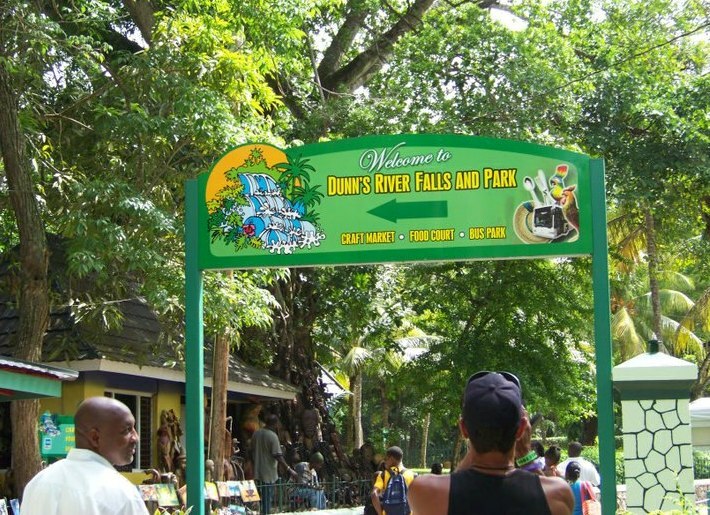 The Safari Tours allows you to experience river tubing ride or take a nice hiking trip through the hills, completing at Dunn's River Falls. At Dolphin Cove visitors can touch, play and swim with the dolphins. And if you are looking for the ideal place for a family or group trip, the Turtle river falls and attraction provides the ideal environment. I went there quite recently with my daughter and on absolutely loved it! 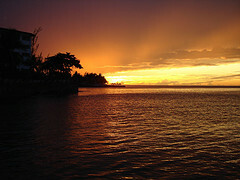 Several of Jamaica's best resorts are located in or near Ocho Ríos. and the luxurious Royal Plantation Hotel. And did I tell you that Ocho Rios Jamaica is now one of the fastest growing towns in the Caribbean region with a population of over 96,000 people? Yes it is! 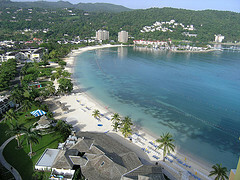 Ocho Rios is also considered one of the safest areas for tourists in Jamaica.